Based in Bloomfield, NJ, His & Hers Music is a small family-owned music school. We offer private music lessons available in your home, or at our home studio in Bloomfield. Instruments offered include Voice, Acoustic & Electric Guitar, Bass Guitar, Drums, and Beginner Piano. Song-writing & Music Theory classes are also available. Rockbands, A Capella Groups, and other exciting group workshops are offered seasonally. His & Hers Music's Instructors are proud members of professional organizations such as the National Association of Teachers of Singing (NATS), The New York Singing Teachers Association (NYSTA), and the Mid-Atlantic Music Teachers Guild (MAMTG), Follow the links Below for additional information. His & Hers Music teams up with local coffee shop 23 Skiddoo Cafe! We are excited to announce our next “his & Hers Music Unplugged” coffee shop performance! Join us on Sunday March 3, 2019 at 3pm for a relaxing and intimate afternoon of music with our talented students. And enjoy a delicious cup of coffee or tea while you sit! You won’t want to miss this! Introducing the newest member of the His & Hers Music Team: Jarrett Walser! We are thrilled to welcome the incredibly talented Jarrett Walser to the His & Hers Music Family. Jarrett will be providing drum lessons starting summer 2018, and will also be co-instructing our student rock Ensembles. If you, or anyone you know, is interested in drum lessons, please "contact us" by using the link in the top banner! Diane Aragona, voice instructor and Co-owner of His & Hers Music, will be a featured soloist in concert at The Church of the Sacred Heart in South Plainfield, NJ. The performance will include "a little bit of this and a little bit of that," including a wide variety of musical selections, from musical theater and opera arias to disney favorites! The Concert will take place on Sunday, 2/4/18, at 3pm. For all the football fans out there, please rest assured the concert will conclude by 4:15pm, before kickoff. 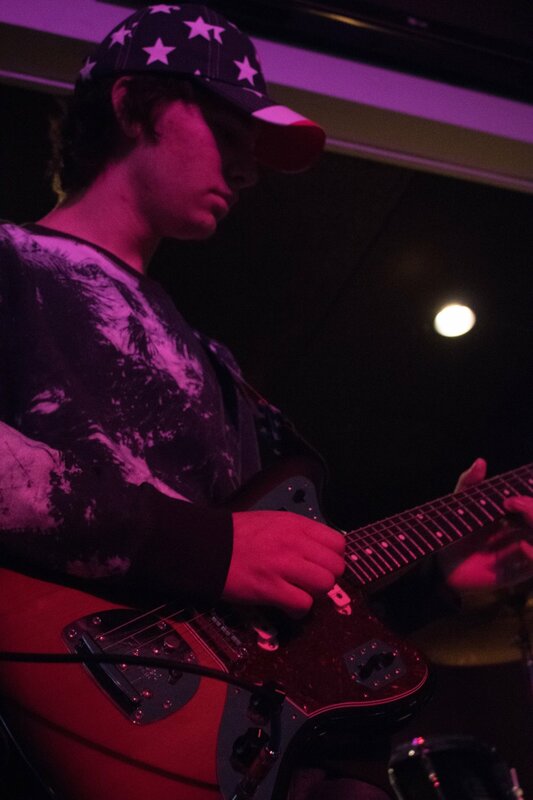 Check out this cool article featured in The Clifton Journal Highlighting our recent performance at The Fine Grind Coffee Bar in Little Falls, NJ. We have another show scheduled at this awesome venue on 11/4/17 from 2pm-4pm. See our events page for more details! THE 2017 SUMMER ROCK INTENSIVE SHOWCASE WAS A HUGE HIT! THANK YOU TO ALL THE STUDENTS AND PARENTS INVOLVED IN THE SHOW, AND A SPECIAL THANKS TO THE OLD CANAL INN IN NUTLEY FOR HOSTING THESE TALENTED student BANDS! THANK YOU TO OUR VOCAL STUDENTS for A WONDERFUL SPRING RECITAL! Head to our "media" page to check out more pictures from this great event! Congratulations to our 3 talented students who participated in the Mid Atlantic Music Teachers Guild Spring Festival 2017! We are so proud of your performances. Special congratulations to voice student stephanie who placed 2nd in both categories she entered. Husband and wife duo Diane Aragona & Charles Salamone aim to provide quality private music education, with an emphasis on family and a goal of serving the surrounding communities. New Jersey-based soprano Diane Aragona is a classically trained singer and vocal instructor. Ms. Aragona has her Master of Music degree in Classical Voice from Mason Gross School of the Arts (Rutgers University), where she studied with Judith Nicosia. An avid lover of opera, art song, and musical theater, Ms. Aragona transcends these boundaries with her versatility and ability to perform in both classical and musical theater works. Ms. Aragona has a passion for contemporary American art song, and has worked one-on-one with such prominent composers as Richard Hundley and Tom Cipullo. Diane Aragona has also taught collegiate level voice lessons for non-music majors at Rutgers University and has substitute taught for their undergraduate group vocal class. Ms. Aragona is a private voice instructor for the National Children's Chorus (NCC) in NYC. Ms. Aragona is also a current member of The New York Singing Teachers' Association (NYSTA) where she is currently serving on the Board of Directors for the 2017-2018 season.. In addition, Ms. Aragona is the co-owner of His & Hers Music, a family-owned music school in Northern NJ that specializes in private music lessons for all ages, child through adult. Please contact through www.dianearagona.squarespace.com. Chuck focuses on inspiring his students to not only be knowledgable musicians, but to also be creative and original as they develop their own work. Chuck goes beyond teaching the basics of the instrument as he also offers insight into the creative process of song writing. Jarrett began his musical journey at the age of three, but his love for jazz began at the age of 11 when he started studying at the New Jersey Performing Arts Center’s (NJPAC) WellFargo Jazz for Teens program. During his 7 years at NJPAC, he had the fortunate opportunity to study with jazz greats such as Ralph Peterson, Cecil Brooks III and Dion Parson. After his studies at NJPAC, he continued to pursue his passion for music at Rutgers University, Mason Gross School of the Arts, where he received his B.A. in Jazz Performance. While there he was able to study with world class musicians Victor Lewis, Ralph Bowen and Conrad Herwig to name a few. 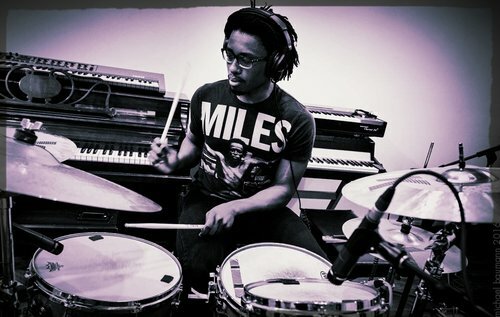 After the 3 away from school he returned to Rutgers and is currently a Masters student at Mason Gross School of the Art and he plans to focus on his life long passion of playing music. Even though Jarrett’s musical background is in Jazz, he has grown to love and appreciate all styles of music. He has performed with various funk and pop/rock groups such as Charles Laurita and The Mischief, Always On Time and Goddess Laskshmi. Jarrett is now excited to continue is musical journey with Amigos, Amigos and to collaborate and reunite with his former college “amigo” Chuck Salamone. He is very excited to join the team at His & Hers Music as the drum/percussion instructor.